Seafood Stew Leftovers? Turn it into a new dish….Seafood Pasta! 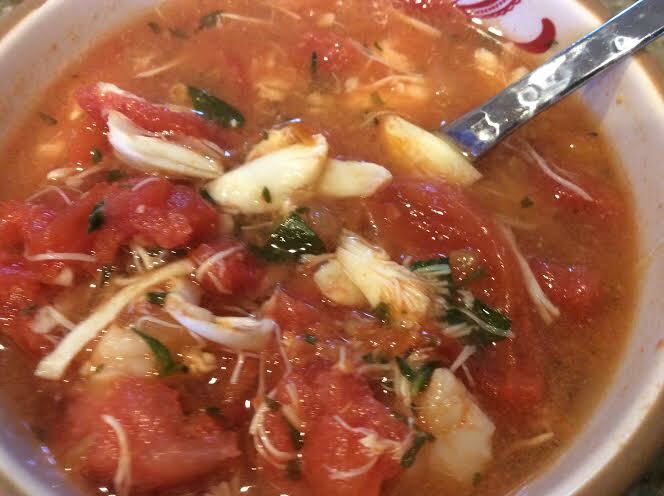 I always love when I make a dish one night, I can turn the leftovers into something completely different the next day…such as the case of the recent Seafood Stew Recipe I posted. Reheat your stew, add a couple of tablespoons of tomato paste and your favorite Italian seasonings. Serve over your favorite pasta (or even rice) and Viola!…you have another meal without spending much money or time in the kitchen. Serve with some crusty, hot bread and dinner is served!